Our most popular practitioner came to Kelsall Chiropractic Clinic at just eight weeks of age. Harper is a mini Australian Labradoodle and cockapoo mix, who takes on her friendly responsibilities as patient greeter, silent observer, and Dr. Kelsall’s shadow. First bred as a service dog in Australia in the 1980’s, the Australian Labradoodle is known for its non-shedding, hypoallergenic coat, and service dog characteristics. The services provided by Harper include modeling how to relax (nap) in the treatment rooms, along with unconditional support in the form of tail wagging or curling up into a ball next to you when needed. Her office hours are: Monday, Wednesday and Friday from 11:00am – 3:30pm. Outside the office, she loves running on the beach, fetching a ball, playing with other labradoodles and dogs her size, frolicking with kids, hiking, pilates and swimming. Her goals in the near future include learning stand-up paddle boarding and trying out some agility courses. 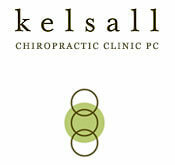 We are pleased to have Harper as part of our team at Kelsall Chiropractic.